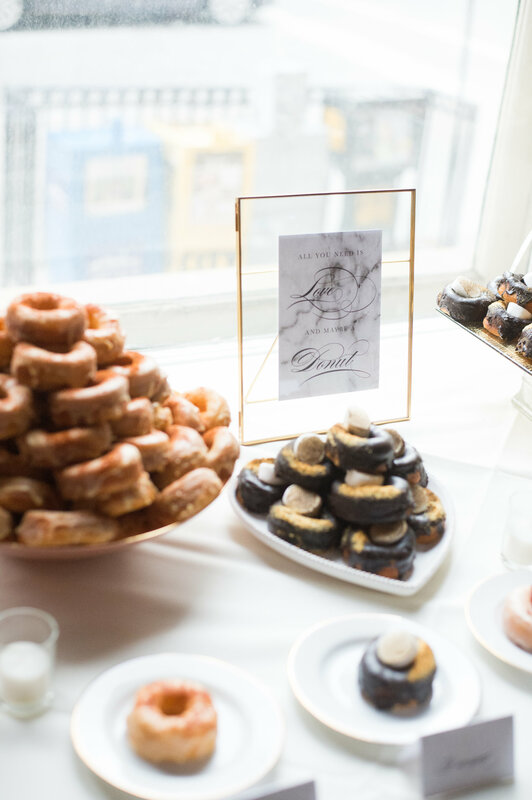 This summer, we were overwhelmed with the amount of photos we received from brides of our work “in the wild.” It’s a huge delight to see how everything turns out on one of the biggest day of our customers’ lives, so we have got to share! 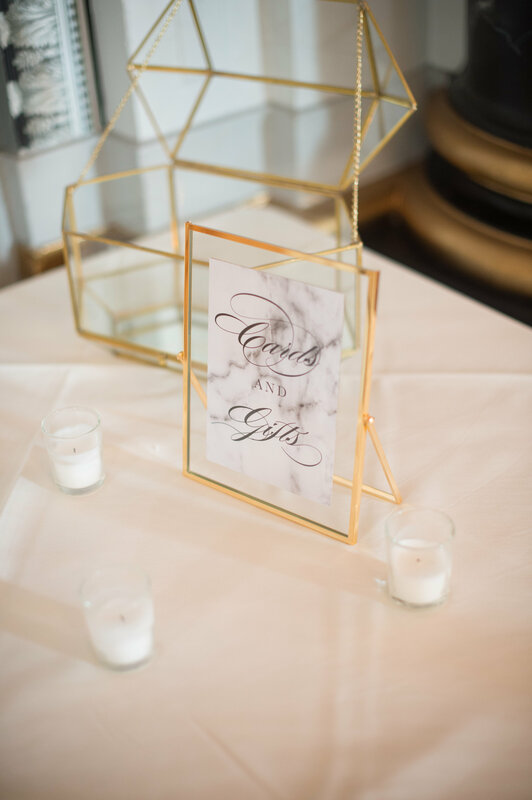 Several months ago Kayla came to Tied & Two looking for what we would call “flourishes galore” incorporated into our modern marble suite, which was a very different spin on our original modern design. 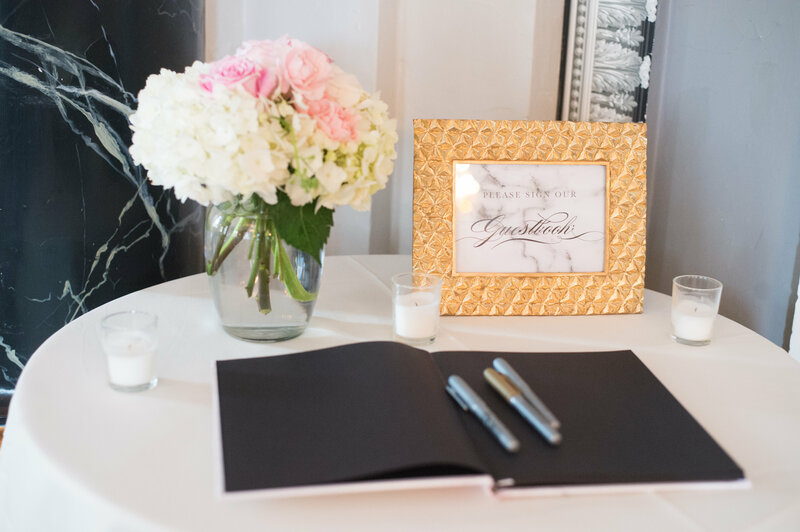 Little did we realize how completely beautiful this would turn out when she embodied it into every [paper] aspect of her wedding. 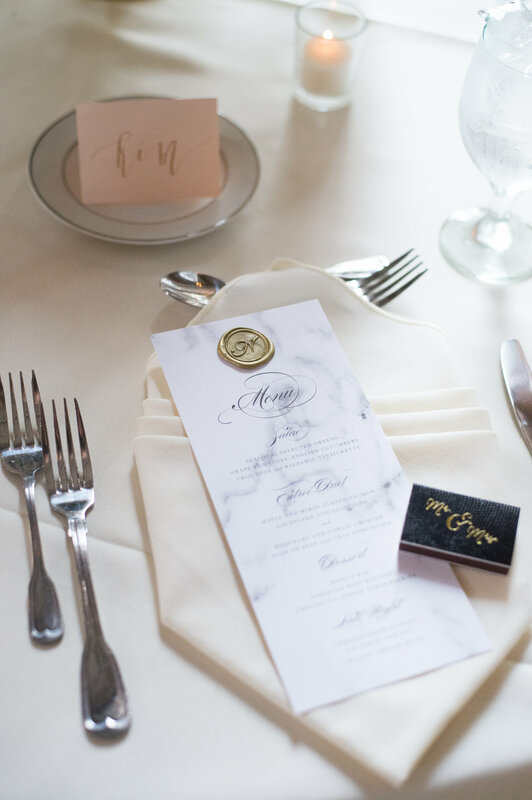 Kayla’s rose gold foil pressed invitations on a marble background delivered the elegance and poise she was looking for, and matching them with a metallic blush envelope topped everything off beautifully. 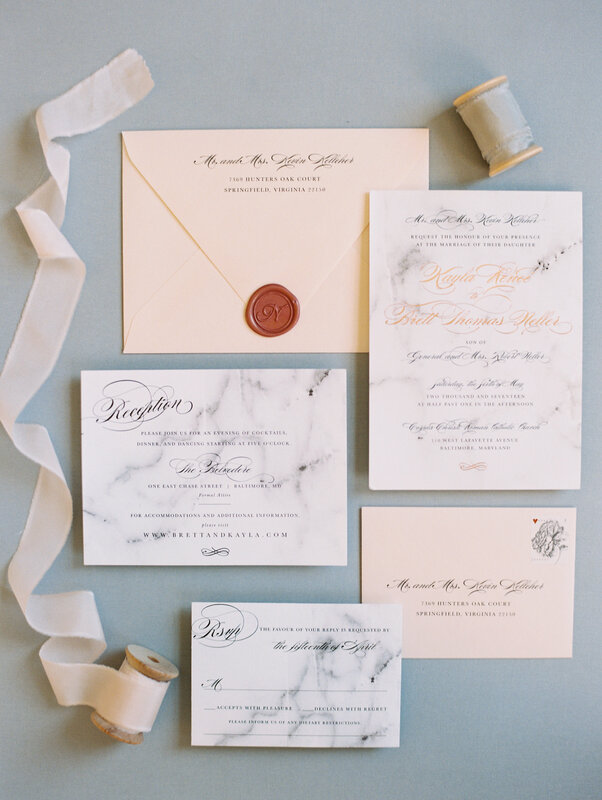 Kayla added copper wax seals to each invitation a classic, personal touch. 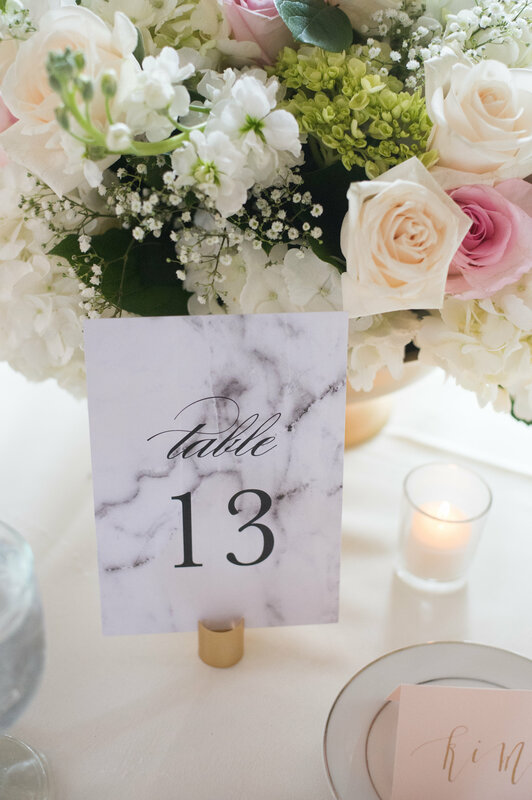 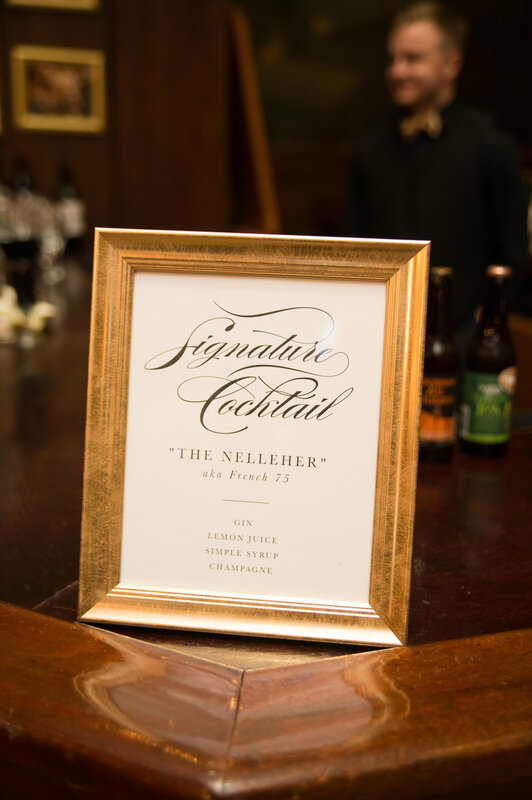 We created numerous pieces for Kayla and Brett’s reception to tie everything together. 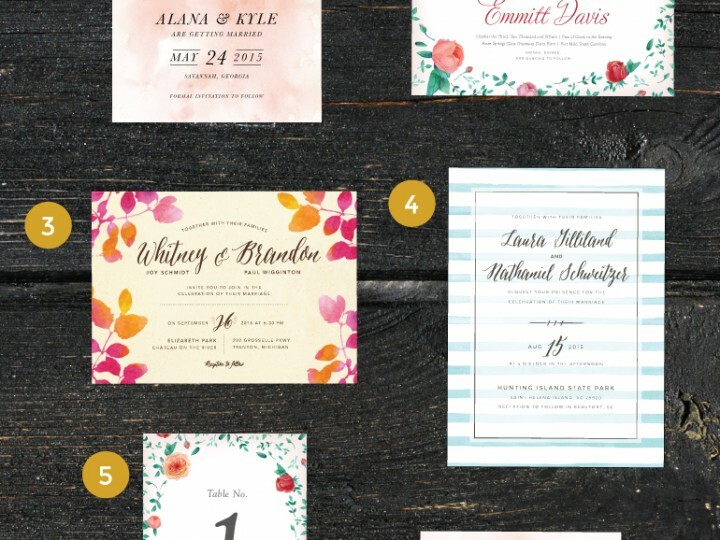 Their addition of geometric shapes added a modern touch to the classic scripts that encompassed the prints. 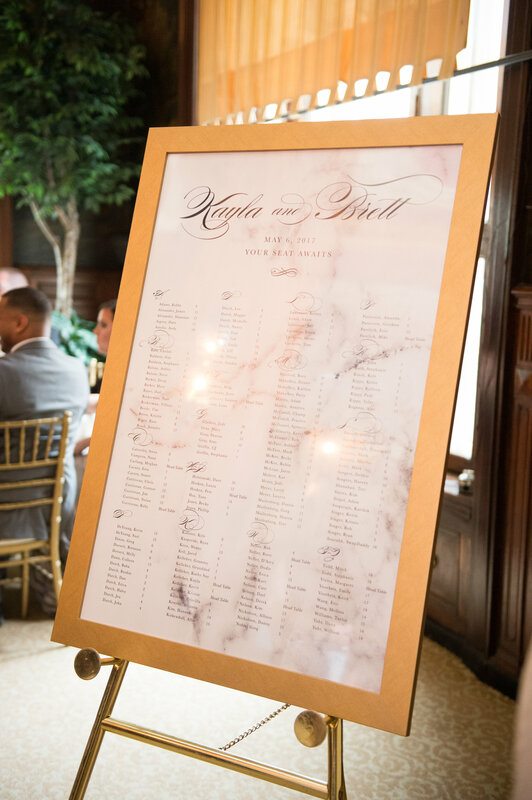 Kayla and Brett’s guest book sign, cards and gifts sign, table numbers, menus, dessert sign, seating chart, and cocktail sign allows the marble theme to flow through the whole room.